A New York–based architectural services company specializing in facade and curtain wall design. 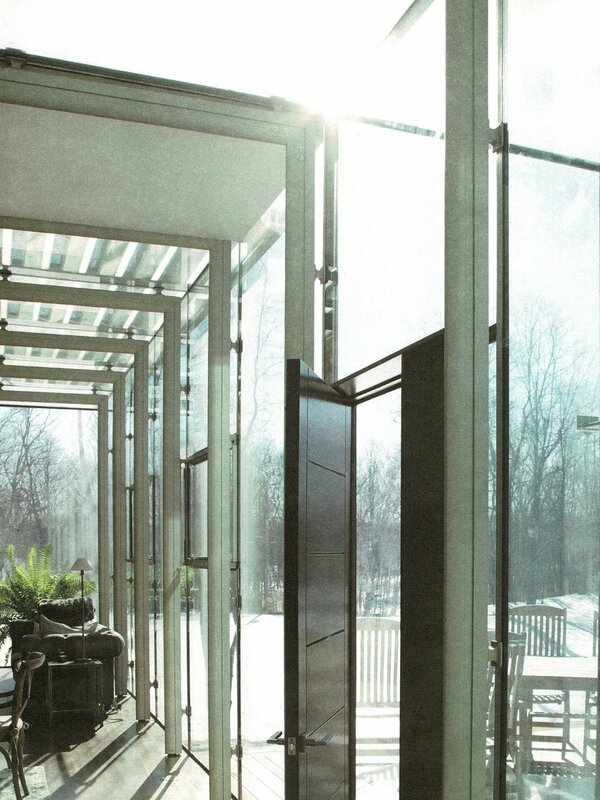 Innovation Glass, a privately held corporation, was founded in 2006 and is based in Tivoli, NY. Innovation Glass is active around the world through partnerships and affiliates. The company now has four major subsidiary offices spanning the globe and additional distributors in specific regions. Franz Safford brings a unique level of expertise to the table in the implementation of innovative building solutions based on a deep understanding of metals, glass, structural engineering, design, production, installation, management and product development garnered over 38 years in the glass curtain wall industry. He participated as a senior executive and owner in the launch and growth of three major corporations prior to launching Innovation Glass LLC in 2006. Since then, Innovation Glass' core invention, VS1, has been patented and implemented in over 60 projects worldwide. The company now has four major subsidiary offices spanning the globe and additional distributors in specific regions. Franz was one of the founding owners of Advanced Structures Incorporated (ASI) from 1991 until its acquisition by Enclos Corp in 2007. ASI was the foremost specialty structures design-build company in the US at the time. As Vice President, Franz was responsible for the design and construction of ground-breaking innovative glass structure across the world. Mir is responsible for business development and operations in the following regions: India, Middle East, Far East Asia & Africa. Mir has always been inspired by innovative and challenging structures, and has over 22 years of experience in the field of glazing. Mir is known internationally for developing & building complex glazed & ETFE membrane structures. Mir has worked for companies of international repute and developed land mark structures across the Asian subcontinent. Helmut is responsible for sales and market development of VS1 in Europe. Helmut has been working in the glass industry worldwide for over 30 years. His experience is in glass fabrication, production machines and methods as well a working on complex structural glass facades with the world's leading facade companies, supplier and a general contractor. He was managing ECKELT Glass GmbH in Austria for 15 years. ECKELT is a company manufacturing complex glass products for the facade industry. Helmut was also leading a network of 14 companies in Central Europe for one of the world's leading glass manufacturers. Vania Ruth Podworny is responsible for sales and market development of the VS1 system in Latin América. She has a technical team that has been working in the façade industry for more than 15 years in the most recognized companies in Argentina, and her works are characterized by the high level of complexity in their engineering, technology and innovation of their solutions. Always updated and setting trends in the sector, offering its customers the most exclusive and competitive products.